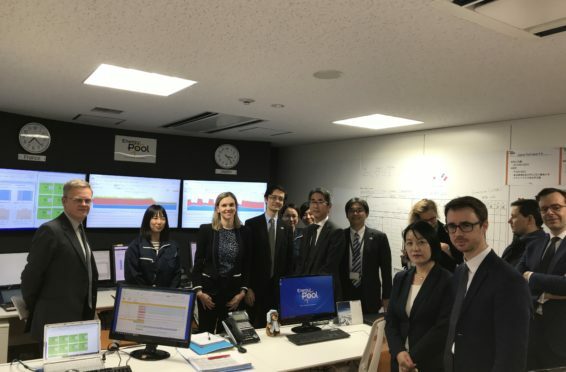 Takeshi Ichimura (Energy Pool Japan CEO) and Alain Dardy (Energy Pool Japan COO) had the chance on Monday November 19th to welcome the French Secretary of State to the Minister of the Economy and Finance, Agnès Pannier-Runacher, at the Energy Pool Japan office in Tokyo. During the meeting, Energy Pool presented how Demand Response was a key solution to enhance both grid stability and renewables integration in Japan. Energy Pool’s latest technology used for 24/7 energy management, such as IoT devices and software/DERMS platform, were also showcased. 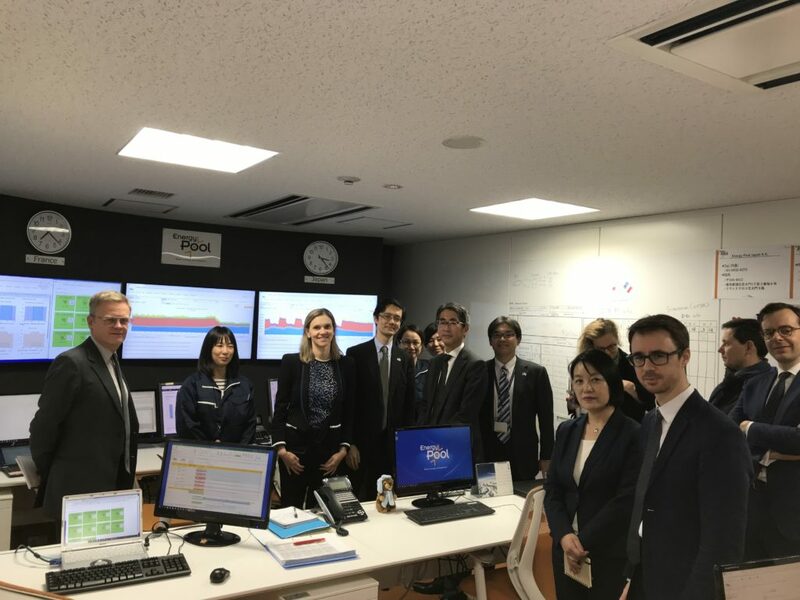 Exceptionally allowed to enter Energy Pool Japan operations center, the delegation attended a demonstration of demand response activations. These examples helped the delegation to effectively understand how end-user’s flexibility can reliably contribute to system balancing, reduce the use of peaking plants and even absorb Solar PV generation peaks. Highlight of the visit, the TEPCO EP CEO, Mr. Kawasaki, and Managing Director, Mrs. Sato, kindly joined the delegation and gave insight on the collaboration between TEPCO EP and Energy Pool Japan. We all, at Energy Pool, are very grateful to the French embassy for making such visit possible, promoting French know-how and innovative solutions.